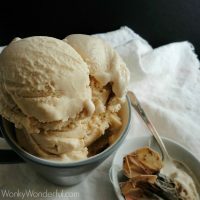 Enjoy your favorite afternoon tea flavor in a cold and creamy treat with this Vanilla Chai Ice Cream Recipe! Yep! Yep! More ice cream, I just can’t help myself! I eat ice cream all throughout winter. 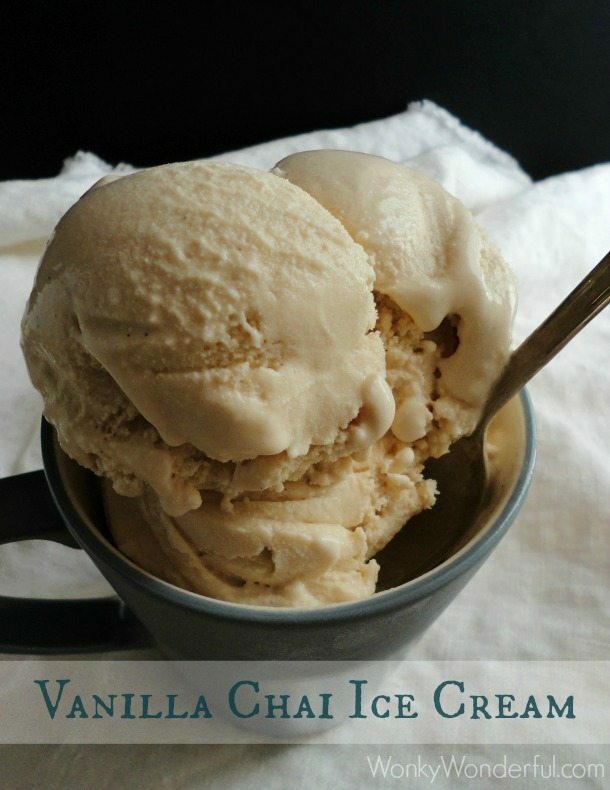 This Vanilla Chai Ice Cream Recipe is perfect for winter. It has the cool, creamy texture and the slightly spicy chai flavor. I used my favorite tea, Bigelow Vanilla Chai. But feel free to use your preferred chai tea brand or flavor. Savora supplied me with an ice cream scoop to review, however all content and opinions are my own. 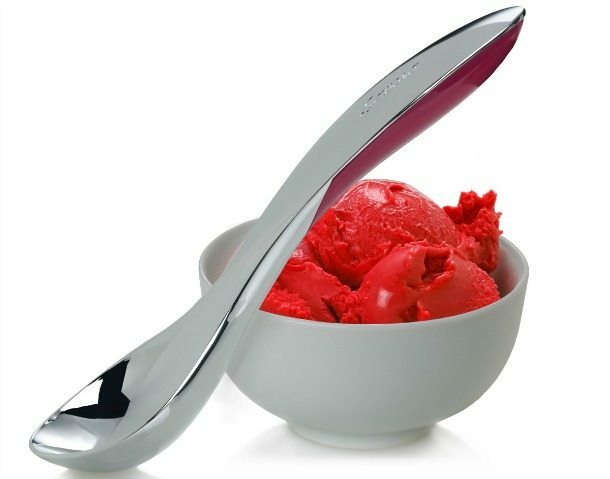 Do you see that super shiny, space-age looking, totally awesome ice cream scoop!?! That is a Savora Ice Cream Scoop. The lovely folks at Savora sent me one of their gorgeous scoops to try out and are also supplying a scoop for the giveaway below! It is no secret that I LOVE Ice Cream! I also love ice cream scoops . . . I own enough scoops to be considered a collector. And, I am totally guilty of being attracted to shiny things! So, I was super excited to try this new line of Savora Scoops. The ice cream scoop works really well. It is heavier than normal scoops. You could totally use it as a weapon if someone breaks into your house while you are making an ice cream sundae . . . it could happen. Gotta love kitchen tools with a dual purpose! Check Out Savora on Pinterest! Anyways, back to this Vanilla Chai Ice Cream Recipe. For this ice cream recipe I finally tried adding xanthan gum to create a softer more scoopable consistency. It works great! But if you do not have xanthan gum it can be easily omitted. You must make this immediately, especially if you love chai tea! In a medium saucepan over medium/low heat; whisk together the heavy cream, milk and sugar. Heat and whisk frequently until liquid begins to steam and is hot to the touch (but Not boiling). Remove from heat and add the tea bags and the vanilla to the liquid. Cover and allow to steep for about 1 hour. Gently squeeze the tea bags while removing, then discard. Sprinkle the xanthan gum into the liquid while whisking vigorously. Churn the creamy chai mixture in an ice cream maker according to the manufacturer's instructions. Once the churning process is complete, transfer to the cold ice cream container. 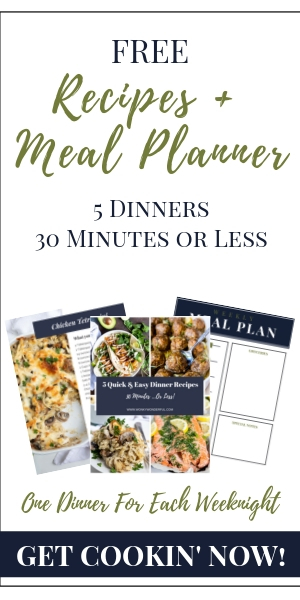 Cover and freeze for 2-3 hours before serving. 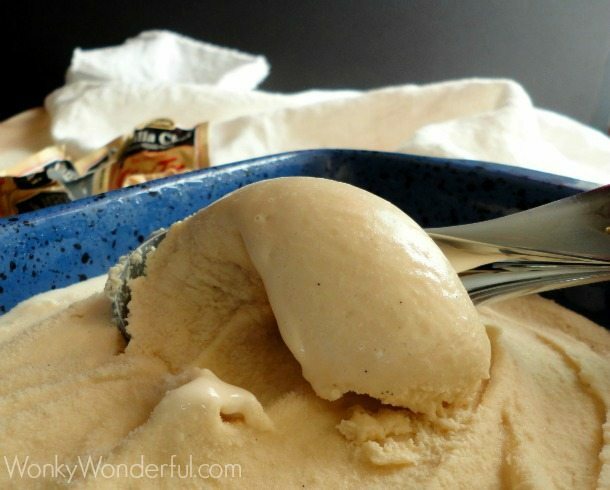 *Xanthan Gum makes the ice cream softer and easier to scoop straight out of the freezer. This Giveaway Has Ended – Congratulations Kathy! I love vanilla ~ not French vanilla ~ pure vanilla bean Vanilla! I don’t know why I have never thought to make vanilla chai ice cream before. 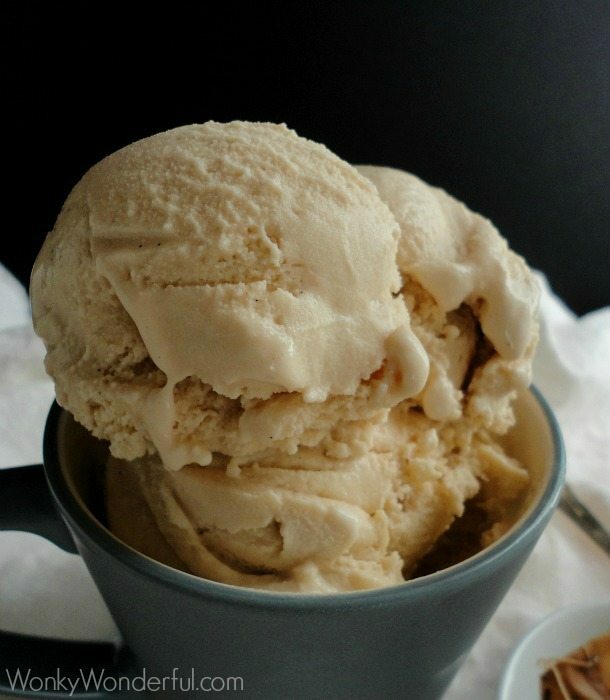 I love Chai and know I would love in in a deliciously creamy ice cream. Thanks for sharing, Nicole! Coffee Toffee Chocolate Chunk ice cream! For this time of year? Egg nog! Red velvet cake ice cream. I’m simple, I like Vanilla with chocolate candy chunks thrown in. Mint chocolate chip or butter pecan are my faves. But really, any flavor will do! I’d scoop vanilla bean ice cream!! Good post. 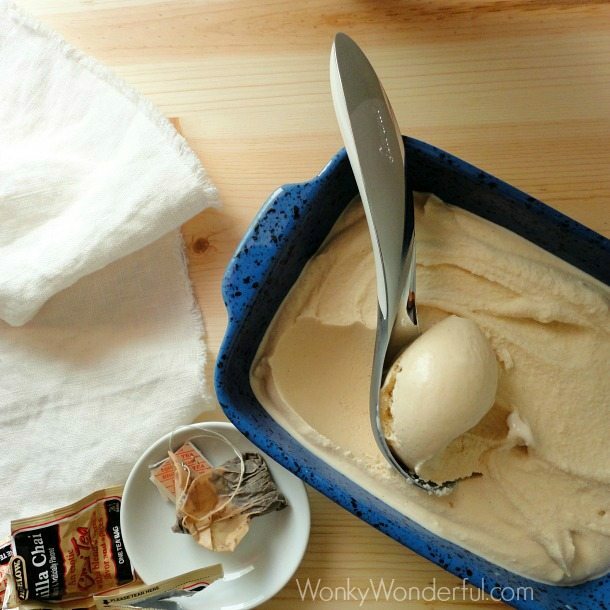 Using the tea bags to make chai ice cream seems like it would give it authentic flavors. Thanks for posting.